In 1947, when J. I. Rodale, editor of Organic Gardening, declared, "the Revolution has begun," a mere 60,000 readers and a ragtag army of followers rallied to the cause, touting the benefits of food grown with all-natural humus. More than a half century later, organic farming is part of a multi-billion-dollar industry, spreading from the family farm to agricultural conglomerates, and from the supermarket to the farmer's market to the dinner tables of families all across America. In the organic zeitgeist the adage "you are what you eat" truly applies, and this book reveals what the dynamics of organic culture tells us about who we are. Rodale's goal was to improve individuals and the world. American Organics shows how the organic movement has been more successful in the former than the latter, while preserving connections to environmentalism, agrarianism, and nutritional dogma. 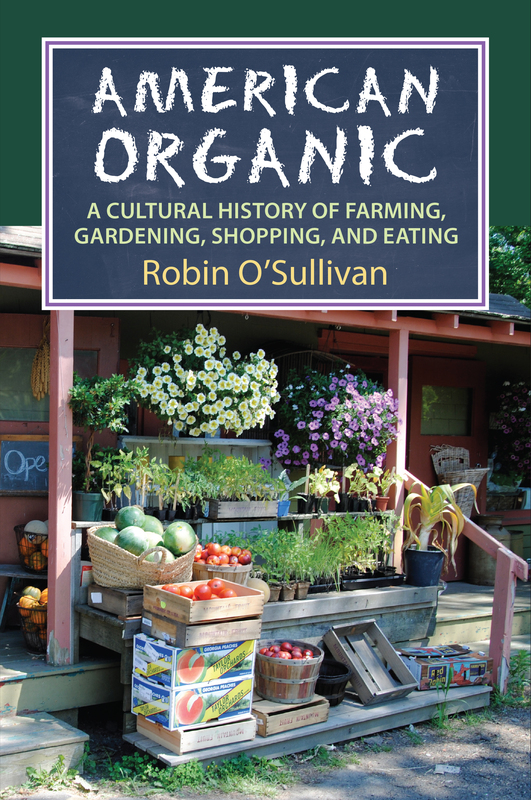 With the unbiased eye of a cultural historian, Robin O'Sullivan traces the movement from agricultural pioneers in the 1940s to hippies in the 1960s to consumer activists today—from a counter cultural moment to a mainstream concern, with advocates in highbrow culinary circles, agri-business, and mom-and-pop grocery stores. Her approach is holistic, examining intersections of farmers, gardeners, consumers, government regulations, food shipping venues, advertisements, books, grassroots groups, and mega-industries involved in all echelons of the organic food movement. In American Organic we see how organic growing and consumption has been everything from a practical decision, lifestyle choice, and status marker to a political deed, subversive effort, and social philosophy—and how organic production and consumption are entrenched in the lives of all Americans, whether they eat organic food or not. Robin O'Sullivan is full-time lecturer in the history department at Troy University.